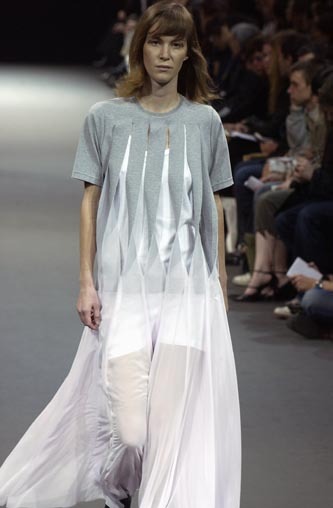 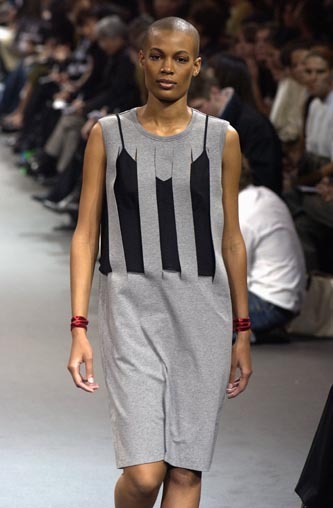 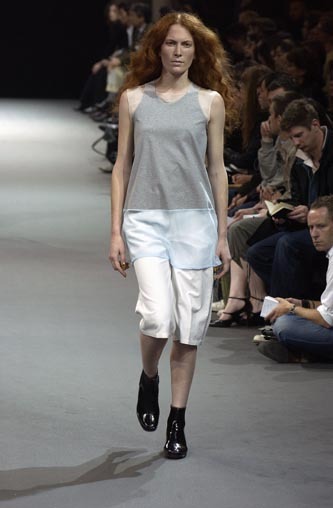 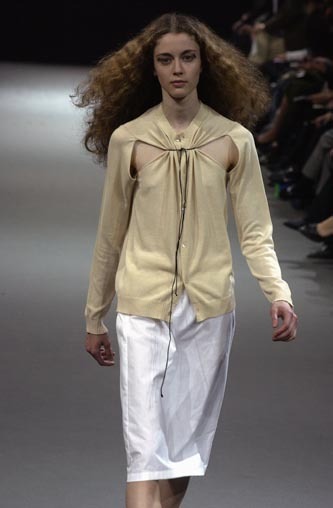 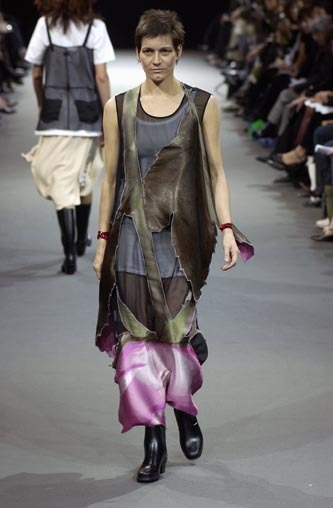 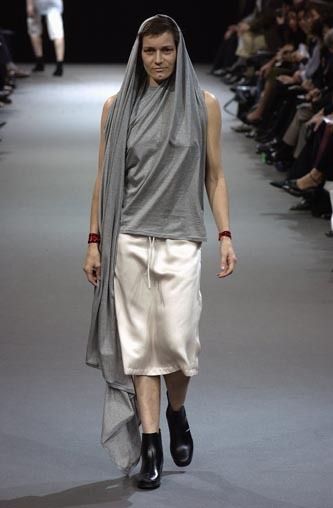 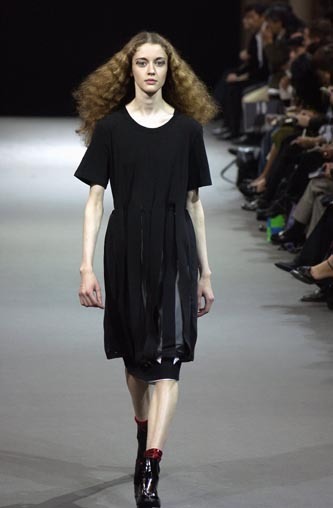 LUTZ HUELLE No.6 S/S 2003 ‘THE CLASSICKS’ Taking the most mundane of everyday pieces and make them special and excentric. 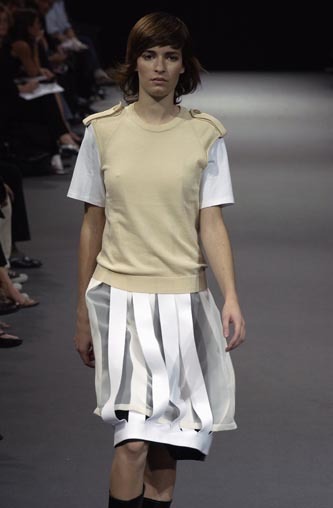 I wanted to turn the most simple pieces, the basics of any wardrobe, into something that would raise an eyebrow but still be wearable as an everyday garment, in a way looking for mystery in the mundane.. Sweatshirt-Dresses were slashed in the front and worn with a tanktop or skirt ‘woven in and out’ to create the effect of stripes. 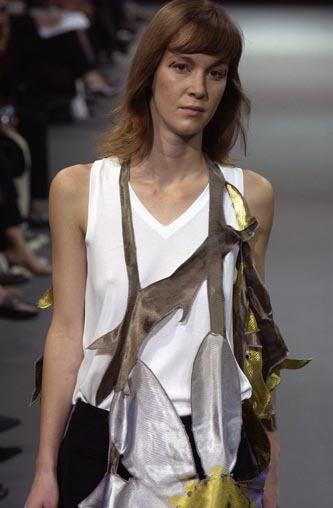 I scanned real Roses and Daisies, made them into jacquards and blew them up into giant accessories, to be worn over pants and tops. 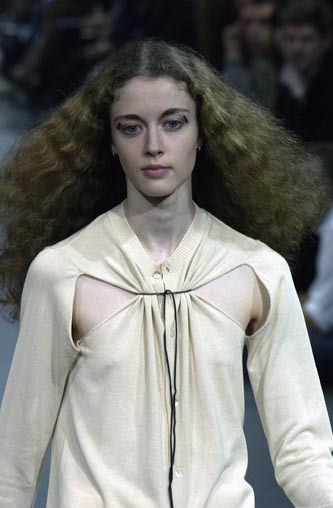 The shoulderparts of shirts, sweaters and blazers were worn on top of each other, creating the illusion of being ‘properly dressed’. 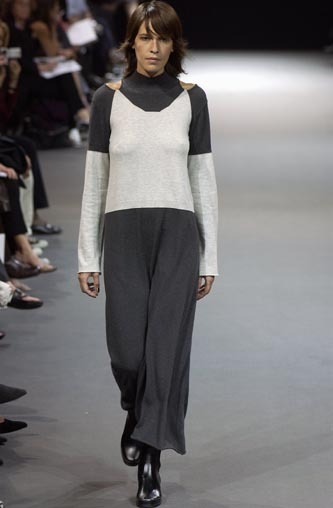 A Shirt-and-knitted-sweater combo was given a plunging neckline and elongated to turn into a mini dress. 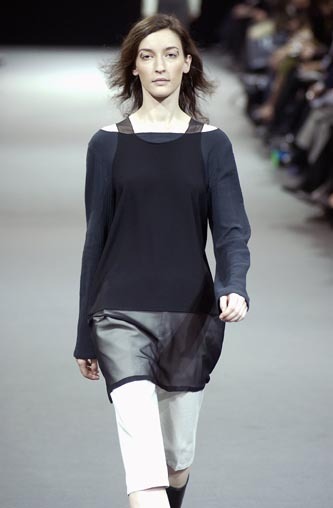 This Collection was deemed ‘grey and difficult’ at the time but turned out to be a preview of what was going to happen years later: Asymmetric Knits with the back longer than the front, embroidered Sweatshirts, long over short, Lasercut T-Shirts, and a general obsession with simple separates with a twist.